Italians rarely leave more than one or two euro a head as tips, figuring that waiters receive full benefits. #8220;Reciprocation recognizes that people feel indebted to those who do something for them or give them a gift.” — Robert Cialdini, Regents’ Professor Emeritus of Psychology and Marketing at Arizona State University. My colleague Artie was finishing up dinner at his favorite trattoria in Rome with five friends visiting from New York. The bill came and they agreed to split it. The person doing the math said “€25 a head, so how about we each round up to €30 with tip?” His friend also seemed a little tipsy from all the wine — at least in Artie’s mind. Artie agreed but sensed something was off. He had had this feeling before. It usually happened right at the end of a dinner out, it didn’t matter where. This particular evening the waiter, in a nice gesture, brought everyone an after-dinner amaro to cap off a satisfying meal. The next morning just before he woke up, Artie heard an inner voice scream “the tip!” — and his eyes flashed open. A 20 percent tip is extravagant in Italy, where, at least as he understood it, €1 or €2 a head was more common. But he wasn’t sure. He never had been. He got up determined to find out the actual rules on tipping in Italy. In his publications on the science and practice of persuasion, Arizona State’s Cialdini lays down six key principles regarding how people are influenced. To illustrate the first principle, “Reciprocation,” he cites tipping. In studies Cialdini found that tips increase when diners receive a “gift” from their waiter just before getting the bill. Those who received a mint from their waiter tended to increase their tip three percent, and when they got two mints the tip jumped 14 percent. But when their waiter left a mint and walked away, then came back to the table to say he particularly enjoyed serving the diners, and at that point left a second mint, tips increased a full 28 percent. There’s no written law on calculating a mancia (gratuity) in Italy. 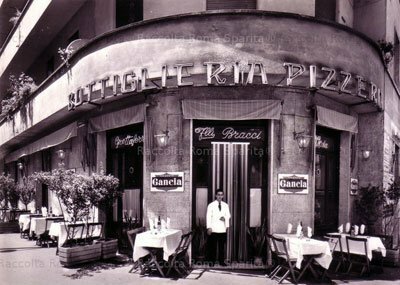 (There is a law in Rome’s historic center that prohibits a coperto, cover charge, but that’s about billing transparency and has nothing to do with tips). 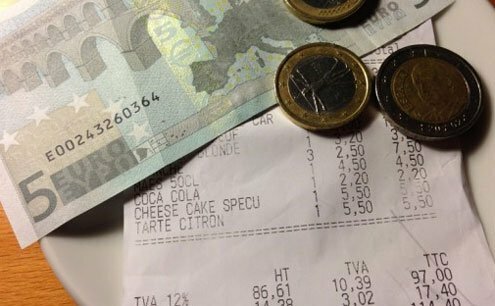 Italians tip far less than Americans or Britons. The 10-to-20 percent U.S.-UK norm doesn’t apply, with or without mints. That Italians leave only €1 or €2 a head reflects a national perception that Italian restaurant workers are employees. They have a full-time job, earn wages, and are paid benefits such as vacation, disability, maternity and sick leave. They also have health care and enjoy job protection as a result of Italy’s strict labor laws. While this is true in theory, the grey edges are many. The minimum rights afforded all employees in Italy are regulated by a national labor contract based on the kind of work being performed. This begs comparison to the current uprising by U.S. restaurant workers who seek an increase in the minimum wage. American restaurant workers have little or no job security. For them, tips are essential to their livelihood. Americans understand this and incorporate it into their tipping etiquette, which yields the 15-20 percent figure.